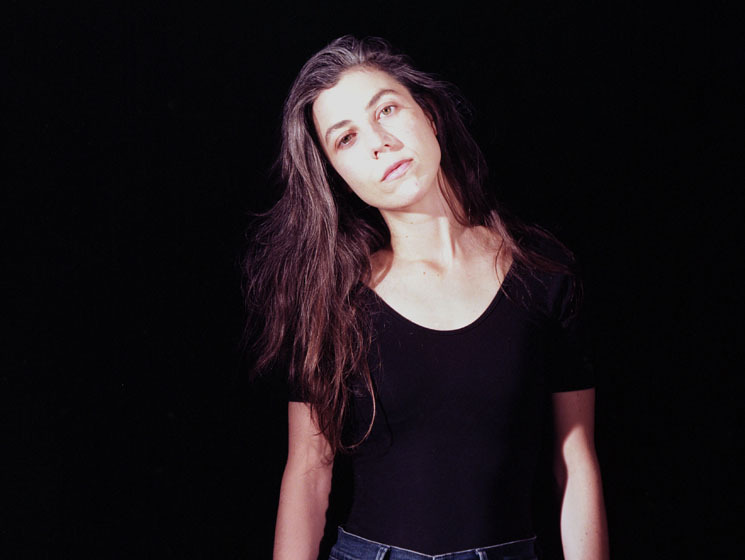 If her new record is any indication, Julia Holter has a lot on her mind. Aviary, the L.A.-based composer's fifth studio album, derives its title from a line in poet Etel Adnan's 2009 collection Master of the Eclipse: "I found myself in an aviary full of shrieking birds." Adnan's stories not only evoke the confusion and intensity of memory, Holter tells Exclaim!, but also its dissonance. "I think that's a very human thing," she says. "I was just getting at these elemental human experiences that are almost hard to explain. A cacophony of the mind or something." On Aviary, Holter sublimates that mental discord into her music. While 2013's Loud City Song and 2015's Have You In My Wilderness showcased orderly, immaculately layered chamber pop, the arrangements on her new songs are often tumultuous and volatile. Opener "Turn the Light On" dashes waves of shuddering percussion against towering cliffs of strings and vocals, and four minutes of wailing drones precede a sombre piano meditation on "Everyday Is an Emergency." The lyrics are just as clamorous. The crumbling bridges and dismantled huts of "Whether" give way to the chivalric romance of "Chaitius." On "Underneath the Moon," a "plague danza wave" immediately follows frenzied revelries. Holter attributes this macabre imagery to the fact that "the outer world feels pretty apocalyptic right now. "I think that's true in all eras, but it's particularly true now," she says. "It's just an honest response to that. I don't think I'm super conscious of it when I'm writing, so it's not like I was trying to do that. It's just a reflection." But the political climate isn't solely responsible for Aviary's apocalyptic streak. Medieval techniques and allusions permeate the album, and in addition to Adnan, Holter's reading list included material on the Crusades and bubonic plague. Still, she's not quite convinced that all is lost. "I don't know," she chuckles. "I don't necessarily think it's the end of the world, but it's just something that's on people's minds right now." Even if Western civilization isn't about to collapse from structural decay, Aviary still betrays signs of a related rot. "Chaitius" quotes "Can vei la lauzeta mover," an Occitan troubadour song that contrasts the symbol of a carefree lark with a narrator whose unrequited love curdles into bitterness toward all women. Holter describes the song as "scornful and misogynistic," likening it to the John Keats ballad "La belle dame sans merci," which features "this bitchy woman who's teasing you and leading you on." "It's just sort of inevitable when you're dealing with a lot of art from the past, because it was made by men," she adds. "Not that all men are misogynistic, but there is a portrayal of women as objects in a lot of art." Holter says she didn't set out to comment on these misogynistic connotations, but she does repurpose them to new ends. The troubadour song "Plus bele que flor/Quant revient/L'autrier joier/FLOS FILIUS EIUS" tells the story of a woman who questions whether to sacrifice her virtue for love from the perspective of a male bystander who mistakenly believes he's the object of her affection. Aviary's lead single, "I Shall Love 2," borrows heavily from the song, but Holter only includes the woman's dialogue, reorienting the story from her point of view. "I was just speaking out of context to make a song about love," she says. "But at the same time, there's all this interesting background behind these things that I'm kind of borrowing and throwing together." So is this that the purpose of art, to clarify old problems by reframing them in new contexts? Holter says she doesn't know, but any answer must surely lie with love and empathy. "I've been thinking a lot about love in a way that a lot of people have in the past," she adds. "It's not a new idea, but it's all I can focus on. So that's maybe an ideal approach." Aviary is out October 26 on Domino.